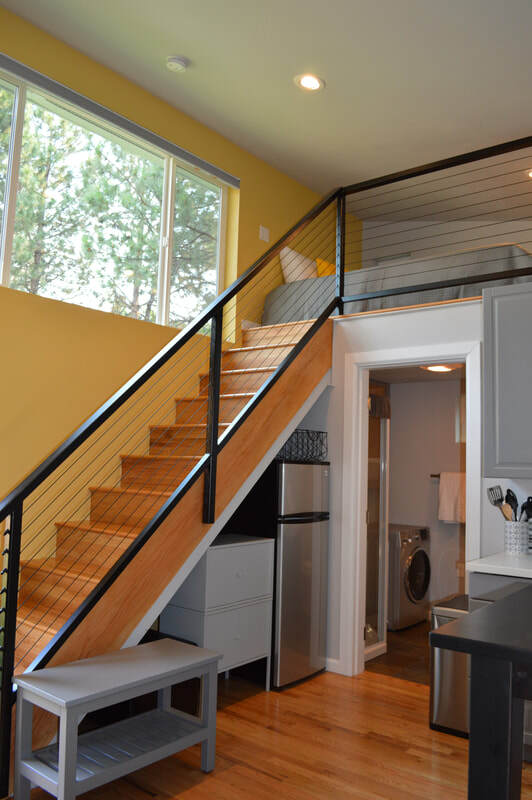 Welcome home to this newly built tiny house, Minni! 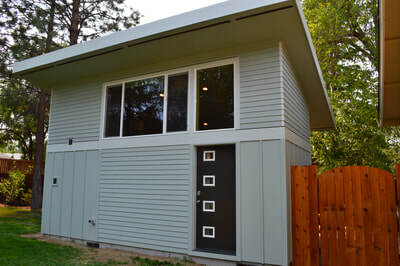 Located on the east side of Bend on the back of a beautiful treed lot across from a city park, this Minni Retreat is the perfect place to experience tiny house living while visiting Bend. 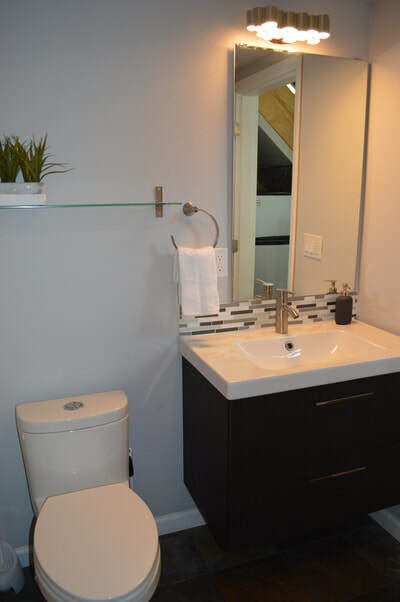 Brand new construction, designed in comfortable contemporary colors and styles with everything you need and nothing you don't. 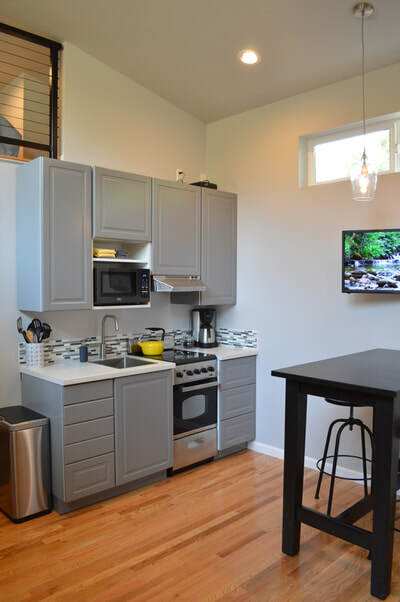 Fully stocked kitchen with oven, stove, refrigerator, microwave, coffee maker and all the pots, pan, and dishes you will need to make meals at home. 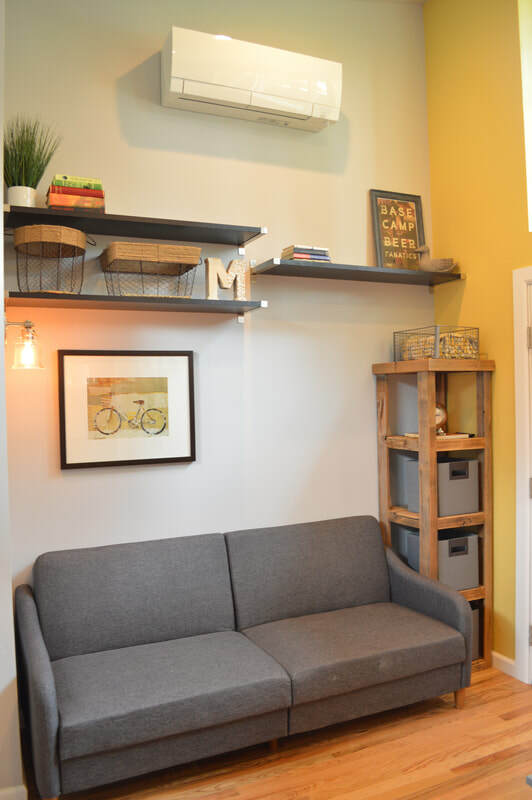 Cute little sitting area with book shelves and reading lights and a brand new flat screen Roku TV for streaming all your favorite channels like Netflix. 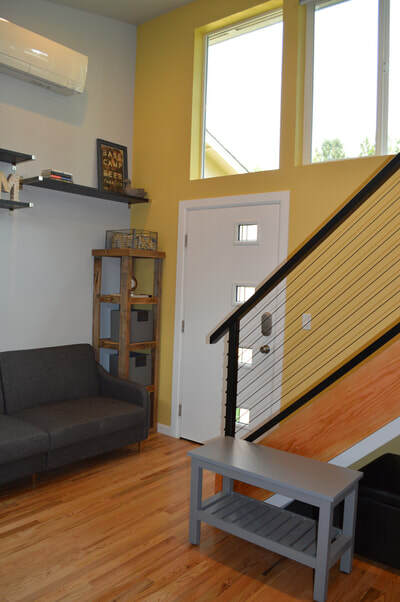 Free high speed wireless internet as well! 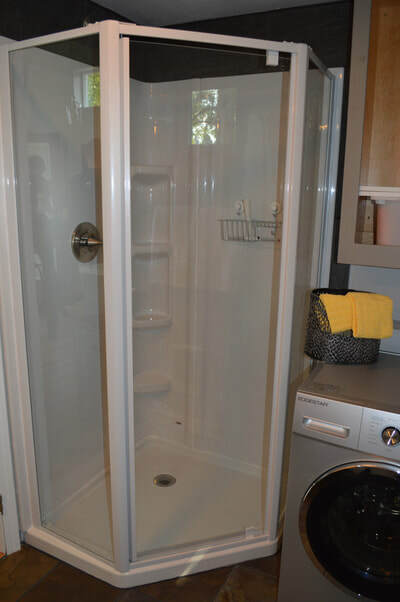 Private bathroom with floating vanity, walk in glass shower, and even a washer/dryer combination machine. 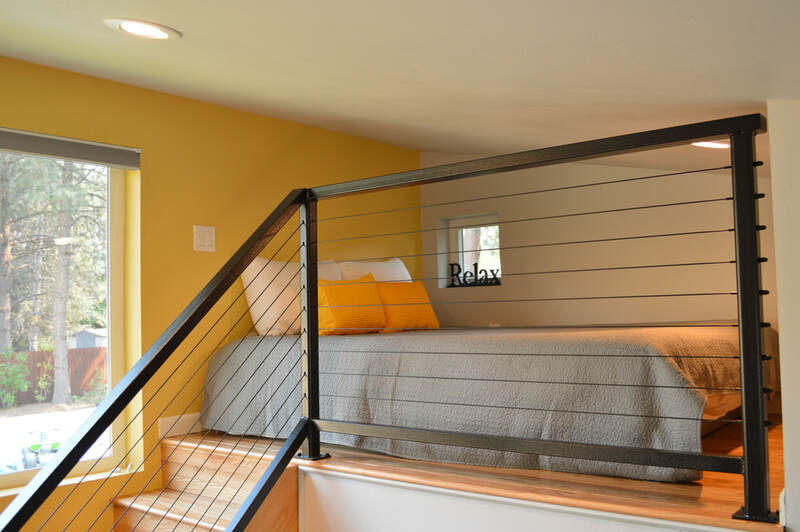 The loft sleeping area makes you feel like you're floating on air and has a brand new queen sized bed with all linens included. This tiny house is located on the side of a residential lot but has its own private, fenced off patio area, private entrance, and designated off-street parking spot. Simple living, beautifully done! Come be our guests. We are close to all the east side activities, hospital, and shops and its for convenient access to the Parkway which makes accessing all of Bend a snap. 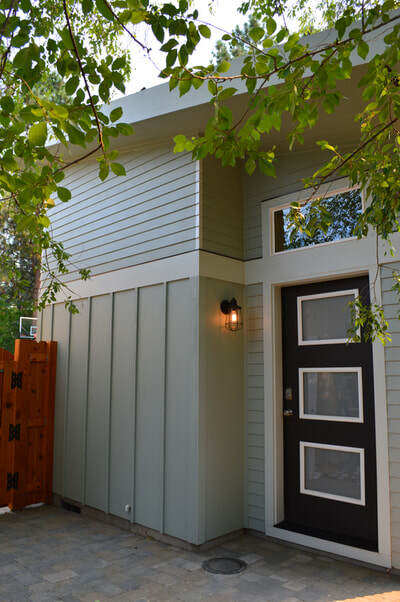 Minni House for your Bend getaway!